Notes for the Archive Project: Day Four. Ich bin nicht so wie ihr mich haben wollt. I am not as you would have liked me to have been. 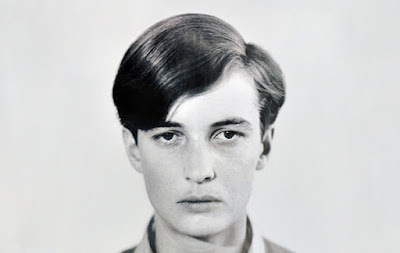 In Marriane Breslauer’s photograph of the writer, Annemarie Schwarzenbach, it is her eyes that reveal desire. 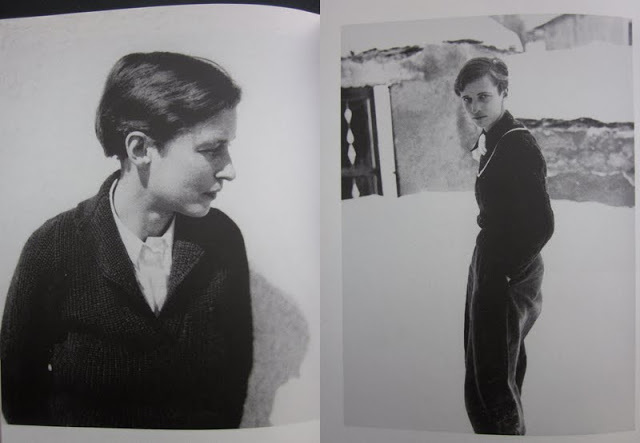 Perhaps because the composition of her face is so perfect--her eyes or, rather, the immense sorrow evident in her eyes--becomes more pronounced. She is looking past the photographer, past the frame, the room, the world she is enclosed within. Unrequited love, for one, but also, her compulsive travel; the need to always be on the move, to always be leaving, going someplace, chasing after. Not unlike racing after the archive; archive fever. If archive fever is a changing after and an attempt at breaking the archive open, what then is endless travel and a blind racing after something one does not know? It is as if the desire is for racing after but never reaching. The space between, the distance between what one can get to and what can not. And the sorrow implicit therein. If desire is the need for something unknown that remains unattainable—then this is precisely what we see in the immense sorrow in Schwarzenbach’s eyes.